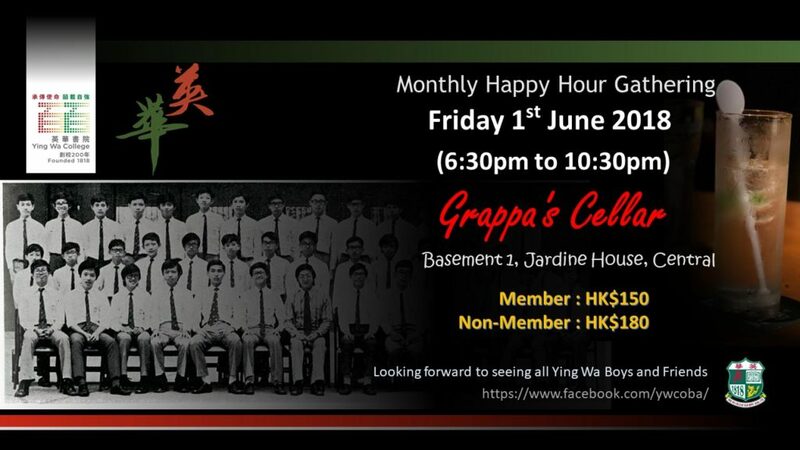 Please kindly note that there will be a happy hour gathering for Ying Wa boys and friends . 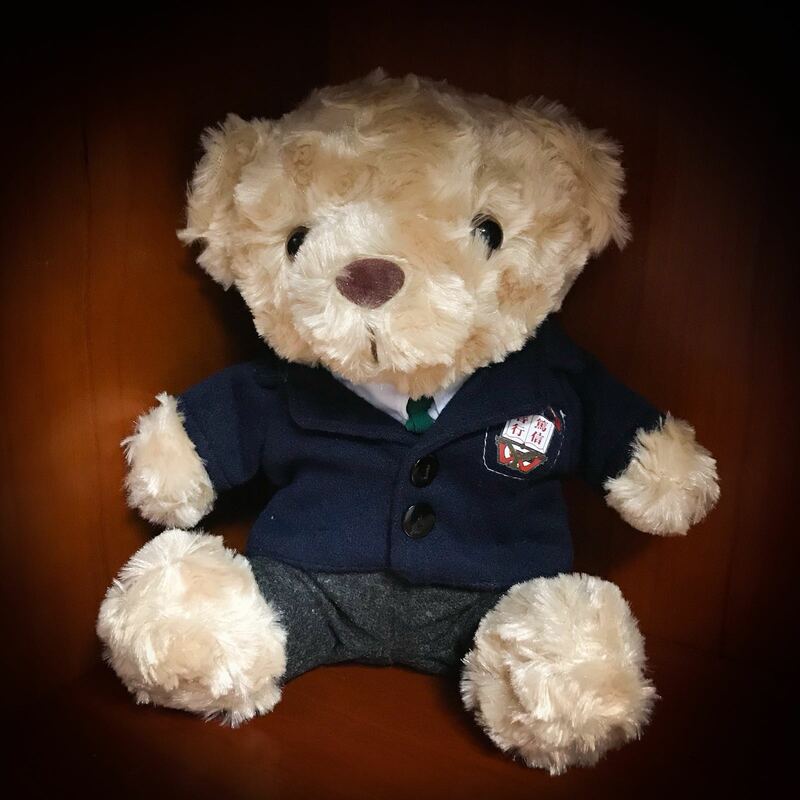 We aim to provide a regular casual gathering/networking occasion for old boys at all age groups and looking forward to seeing you all on Friday evening. 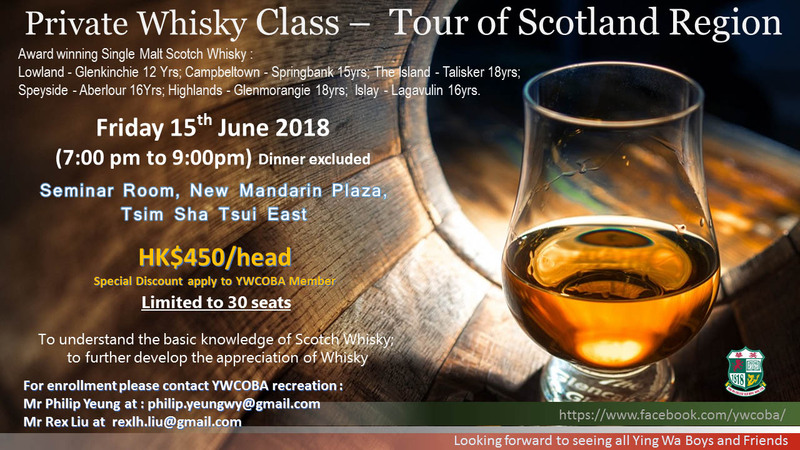 To those interest to know more about Whisky, we are organizing a private Scotch Whisky Appreciation Class for Ying Wa boys and friends. 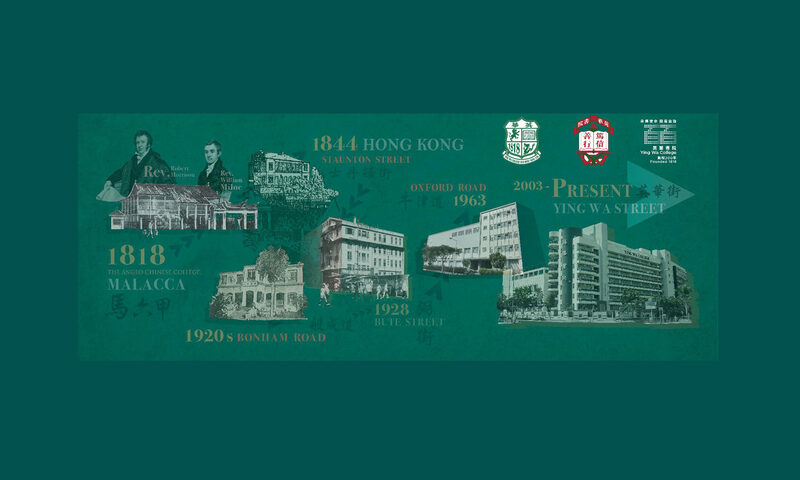 To secure your seat please sent your contact details below to Mr Rex Liu(90) at tel: 60163887or e-mail rexlh.liu@gmail.com for enrolment by noon 25 May 2018.